Halloween approaches. It’s that time of year when we get to dress up as whatever we want, eat way too much candy, and scare the pants off of ourselves with some good old-fashioned terrifying TV. Now, television over the years has seen creepy crawlies ranging from zombies to werewolves to vampires, but there’s nothing like a witch to give us nightmares. There are plenty of ways for a witch to be terrifying, and not all of them involve cauldrons or broomsticks. Take a look at these ten devious ladies who manage to put a chill down our spines every time. Who She Was: Samantha Stephens was a witch who fell in love and married a mortal named Darrin Stephens. Although she vowed to forsake her powers to live as a homemaker, she was frequently plagued by problems as minor as housework and as major as a witchy extended family that did not approve of her marriage to Darrin. 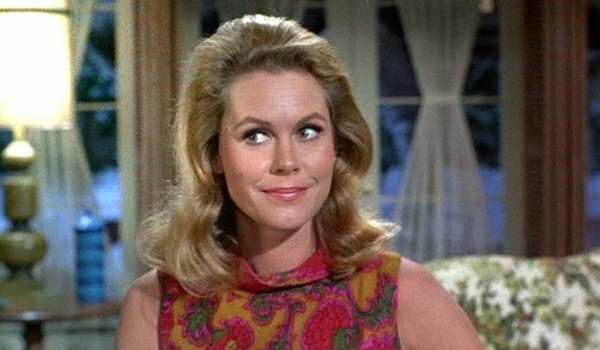 Bewitched was a cute half-hour comedy with a cute nose-wiggling friendly witch as the star…or so it had seemed. Why She Was So Scary: Samantha’s trademark nose wiggle may have been adorable, but there must have been some dark magic for her to manage it. Normal human noses are not meant for such things. We can only wonder what would have happened if Darrin really made her mad. Who She Was: Sabrina Spellman was a typical teenager who discovered that she was a half-witch with magical powers. Living with her 600-year-old aunts and a quippy witch-turned-cat Salem who took a feline turn as punishment for trying to take over the world, Sabrina had to deal with the normal trials of a teenage girl as she learned to control her magic. 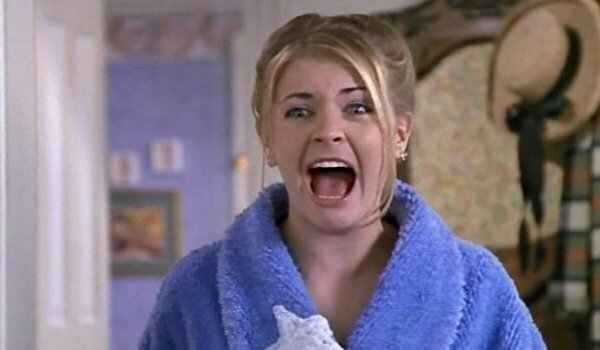 Why She Was So Scary: Sure, everything was fun and funny and culturally relevant to the late 1990s, but the implications are terrifying to consider. Knowing what Sabrina was capable of as a mere teenage witch makes us wonder just what she might have been capable of as a fully-developed witch. Besides, spending so much time with a cat with known motivations to take over the world could surely warp the mind of any teenager. Who She Was: Wife of Ichabod Crane, Katrina was secretly a witch throughout their marriage in the 18th century. Her motives were somewhat murky in the first two seasons of Sleepy Hollow, but her fate at this point is quite clear: Katrina was stabbed and killed by Ichabod as she was attempting to murder heroine Abbie Mills. 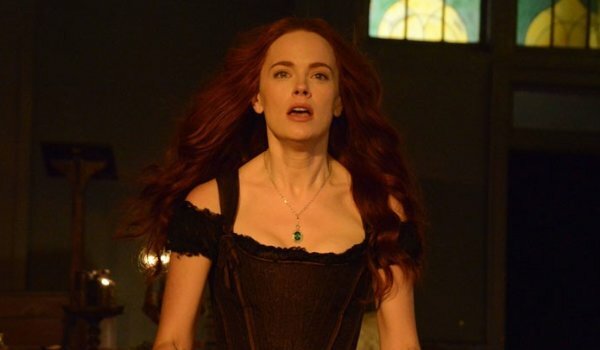 Why She Was So Scary: Katrina was brought into far more prominence in Season 2 than in Season 1, and her increased presence saw a decrease in the delightful screentime between Ichabod and Abbie. The ratings were proof enough that viewers were not exactly over the moon with Katrina. In fact, Katrina disrupting the dynamic between Ichabod and Abbie for no good reason makes us wonder: is dark magic real? 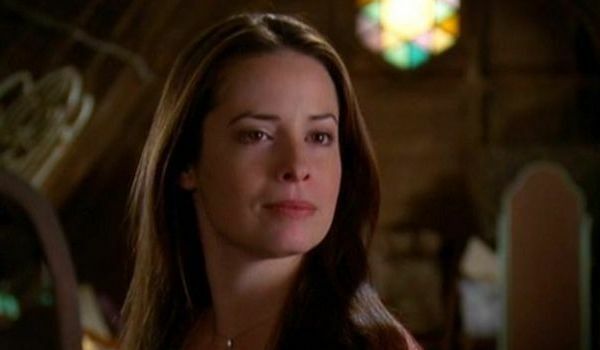 Who She Was: Piper Halliwell was the oldest of the Halliwell sisters following the death of Prue. She is thereafter considered the most powerful of the three remaining sisters. She specializes in molecular manipulation, allowing her to do everything from freeze to combust to even slow down time to a certain degree. Why She Was So Scary: Piper was a lead character on a show about witches that lasted for eight seasons, centered on sisterly relationships, and amassed a fiercely loyal fanbase. That in and of itself is witchy, and Piper’s molecular manipulation has terrifying implications beyond what Charmed could bring to the screen on The WB. Just think: if Charmed had aired on HBO, what kind of havoc could Piper have wreaked to defend her family? Who She Is: Despite starting the series living as regular a life as she could as a witch with a vampire as an adoptive father, Davina Claire is now a witch in the French Quarter with the standing of Regent of the New Orleans Witch Community. In her short lifetime, Davina has been abandoned, empowered, sacrificed, resurrected, and promoted in a meteoric rise to the top. Why She Is So Scary: Davina receiving the powers of three or her fellow Harvest witches was a chilling look into what even witches without evil intentions can manage. Her ties to both witches and vampires potentially make her a valuable ally and terrible enemy, and Davina’s rise to coven prominence at such a young age marks her as somebody not to cross. Who She Is: Bonnie Bennett is a powerful witch more than willing to sacrifice herself and her safety for the sake of her friends. Despite being one of the good guys of the series, however, Bonnie has been known to willfully use dark magic. Misuse of dark magic has taken a great toll on Bonnie, but it also made her one of the most powerful witches of The Vampire Diaries. Why She Is So Scary: There’s always something terrifying about a good witch willing to use dark magic, and Bonnie had done more than dabble in darkness. What is even more terrifying, however, is that Bonnie has managed to displace Elena in the hearts of some shippers as the ideal love interest for Damon. Messing with the hearts of shippers takes some serious sorcery. Who She Was:Willow started out on Buffy as a shy and nerdy girl lacking confidence among her high school peers. Thanks to Buffy and a tight knit circle of friends, however, Willow became more confident and began to explore witchcraft. As she grew more powerful, she began to dabble in dark magic. The murder of her lover Tara made her go full dark on a path of revenge. Why She Was So Scary: Willow was very firmly on the side of good through so much of the series and so loyal to her group of friends that her psychic break following Tara’s death was terrifying. It was such a departure from the Willow that viewers had come to know, and the Willow with black hair and eyes who had a showdown with Buffy was an unforgettable antagonist. Who She Was: Fiona Goode was the Supreme Witch of the Salem Coven. Obsessed with youth and despising her own aging body, Fiona proved more than willing to use her powers to drain the lives of others. Not hesitating to kill whenever she deemed it necessary and showing no remorse, she only failed in selling her soul to a dark force in exchange for immortality because she had no soul to sell. Why She Was So Scary: A sociopath obsessed with living forever, without remorse, that is dying of cancer is a frightening prospect even without taking into account the lack of a soul and powers of witchcraft. The discovery that she has no soul motivated her to want to kill other witches, and she remained manipulative and deceitful nearly to the end. Who She Was: Marnie Stonebrook was a witch in Bon Temps, Louisiana. Although seeming innocent and unassuming enough at first, her vast studies in things magical allowed her to bind the spirit of a powerful witch to her and use those powers to combat the vampires…and any who dared oppose her. Why She Was So Scary: Marnie was unpredictable in the most terrifying way throughout her stint as a big bad on True Blood. The revelation that she was controlling the spirit of the powerful witch rather than the other way around proved her cunning to be her most dangerous natural weapon, and her control over the vampires was truly frightening. Who She Is: Melisandre is a priestess of the Lord of Light who worked as an adviser to Stannis Baratheon throughout his campaign for the Iron Throne. Called a witch by Arya Stark during a visit to the riverlands, Melisandre has certainly proved herself a worker of magic. Rather memorably, she gave birth to a shadowy figure that stole out of her womb to assassinate Renly Baratheon. 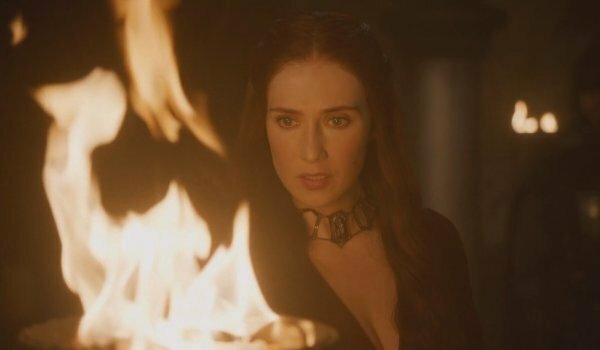 Why She Is So Scary: Melisandre is more than just a priestess and wielder off magic. Her skills at manipulation allowed her to ingratiate herself into the confidence of Stannis and Selyse Baratheon, ultimately to their ruin in the North. Using powers of seduction and manipulation as well as prophecy and magic, Melisandre is one of the most dangerous and mystical living characters of Game of Thrones. Head to the next page and let us know which witch you think is the scariest. Which Witch Is The Scariest?